Vefur Norræna kvikmynda- og sjónvarpssjóðsins birtir viðtal við Skarphéðinn Guðmundsson í kjölfar Scandinavian Screening kynningarmessunnar sem fram fór hér á landi á dögunum. Þar ræðir Skarphéðinn um áherslur RÚV varðandi leikið efni og verkefnastöðuna. RUV has just signed a four-year contract with the government and domestic TV drama seems to be a top priority. Could you summarise the main points of the contract and how it will benefit Icelandic and Nordic TV drama? Skarphéðinn Guðmundsson: A year ago, we drafted this contract and started to base our strategy on this. For the first time in many years, we have some financial stability. Before, we were not sure how much funding we would get from the State and we could not plan more than a year ahead, for the next drama season. With this new State agreement, we finally have a stable environment and this will enable us to put out a thorough and clear strategy until 2021. This could not have come at a better time, considering the success of shows such as Trapped, Prisoners, Case, both domestically and internationally. So what is your budget for TV drama? SG: TV drama represents almost 1/3 of our entire TV budget. We will not get more money for TV drama, but we will increase our budget spend on independently produced TV drama and other external production from 8% in 2016 to 11% in 2019. We have already doubled the amount we invest in drama production and will commit to spending at least ISK 200 million (approximately €1.8million) on TV drama production per year until 2019. Do you produce anything in-house, or are all your TV shows commissioned to independent producers? SG: We’re a small company, with a small staff, so all our series are co-productions with local producers or acquisitions. 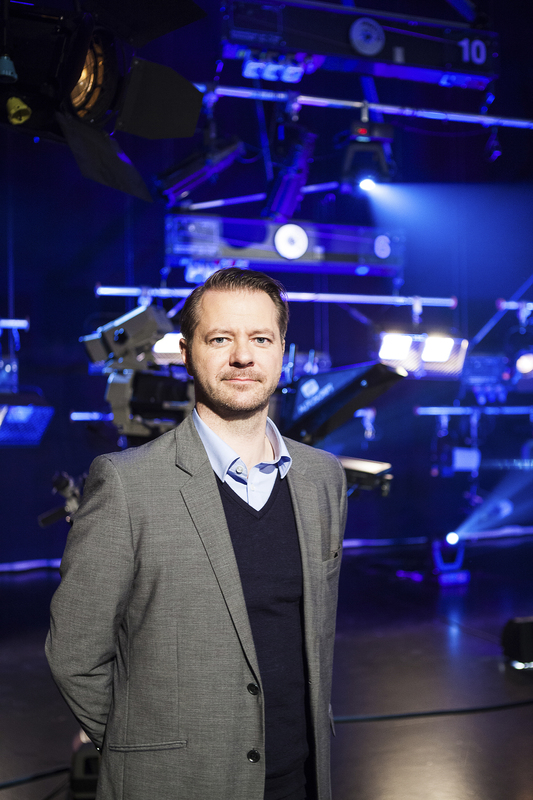 This might change in the future, with us becoming major producers, but we will never have the ability to fully finance series such as our colleagues at NRK or DR for instance. However we co-produce 2 to 3 TV dramas each year -from mini series to long runners- and we are the ones initiating projects at development stage. Who greenlights projects at RUV and who are the various key executives at RUV Drama? SG: I am Head of TV, as well as Head of TV drama and Commissioning Editor. Then I have a head of local acquisitions Hera Ólafsdóttir, another acquisition executive Erna Kettler, responsible for foreign TV drama acquisitions with whom I work very closely. Then, very importantly, we recently hired a Development Consultant Ólafur Egilsson, a very established scriptwriter who worked on The Oath, Trapped and was script advisor on I Remember You among other recent projects. About four years ago, we decided to take development more seriously, even before the signing of the contract with the government. We sensed that indie producers needed more funds for development and we know that quality depends on good scripts. How do you collaborate with producers from the development stage? SG: We have tried to open conversations with independent producers, not to be on the receiving end only. They have asked for this and we believe that it’s an important role for us. RUV is a cultural institution and we have a specific public mandate to fill. Having said that, we are here to help Icelandic producers and other TV talents to fulfil their dreams, not our dreams – and meet the demands of our audience. What slots are available for TV drama? 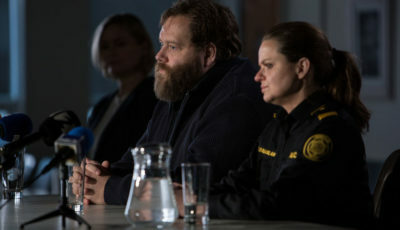 SG: We have one main prime time slot on Sunday and Monday at 21.00 – dedicated to local or quality Nordic drama. Our goal is to offer the best TV drama from around the world. Although audiences are slowly moving away from linear TV, prime time slots are still very prestigious and show the trust that we put into the content that we schedule. Flagship TV shows are key to branding a TV company and we get amazing rating for our event shows. For instance Trapped had 60% rating on average and 98% share and Prisoners was close to that. New OTT and SVOD players (such as Siminn) are commissioning local drama and changing the traditional way of programming TV dramas. How does RUV respond to these new challenges? SG: We simply continue to focus on what we’re doing and our remit as public broadcaster. We’re very much supportive and in favour of all quality Iocal TV shows being produced and wouldn’t mind getting a second window for a quality drama if we would have to . Before joining RUV, I worked at Channel 2 and we launched many great TV shows such as The Nightshift series. We saw that audiences were willing to pay for quality drama, so that was a strong sign of what audiences wanted and when I joined RUV, one of my priorities was to create more local TV drama. Our new general manager Magnus Geir Thordarson who comes from theatre totally supports my drama strategy and that’s very fortunate. Youngsters are moving away from traditional television. How does RUV respond to this and what is your strategy for children and youth content? SG: For some time we haven’t had a specialised department for kids, but now we have KidsRÚV (KRAKKARÚV) and it’s hugely successful, with major kids events broadcasted live. KidsRÚV is mainly for the under 15, but our new strategy is also to focus on the 15-29. So we are in the process of appointing a project manager responsible for developing and acquiring content for that target group and for tailoring out a strategy of how to put it out there. We will also have focus groups with young adults who might tell us if they really want a local Skam, which would be the obvious assumption or perhaps something completely different. Within the Nordics, are there areas where you’d like to see greater collaborations? 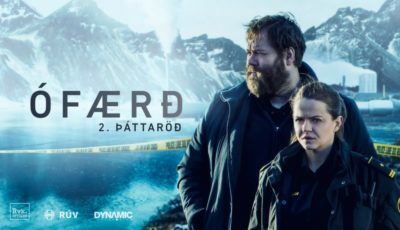 SG I believe there is always space for improvement for example I’d love to have more pitching days for Nordic TV drama, similar to Nordic Form. With Nordisk Film & TV Fond, I think we could help initiate new projects from new talents. I fully support the greater emphasis on big projects with an international appeal, but we need as well some kind of support system that would lift projects from new talents. 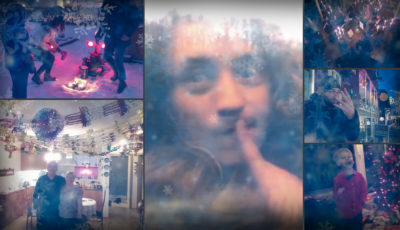 In Iceland, we’re a young industry and we have only few experienced TV creators and directors. The rest is still learning the ropes of TV drama creation. We do try to nurture new talent –male and female filmmakers- and in development we have at least five projects by newcomers. What TV shows are lined up for this year, and what else is in production and development? SG: We have a new family drama coming out this fall called The Promise (6×30’). It’s the first series by kids’ specialist Bragi Thor Hinriksson [The Magic Wardrobe, Face to Face]. We always try to tell stories in new original ways so here it’s a divorce story seen from the viewpoint of two young siblings. Then for 2018, we have Flatey Enigma produced by Sagafilm. It’s a mystery thriller, like The Da Vinci Code, but instead of religious references, it is connected to the old sagas. It’s set in the breath-taking Flatey island. Then we have Trapped season 2 that will start shooting this fall for a premiere in the fall 2018. 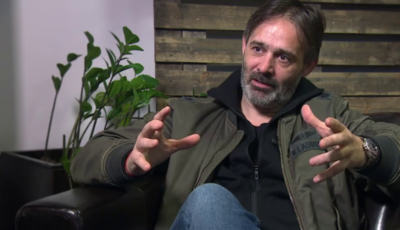 The Minister is a political drama reflecting in a way what’s been going on here in our political arena, but with an interesting twist as the Prime Minister is bipolar. It’s the directing debut of Case writer Þorleifur Örn Arnarson. 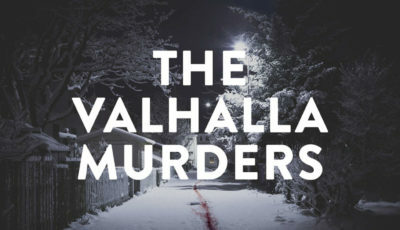 The Valhalla Murders is directed by another rising talent, Thordur Palsson, written by the director, Margret Ornolfsdottir and Ottar Nordfjord for Truenorth. 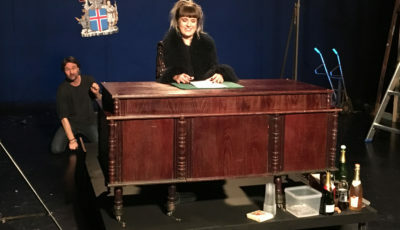 The Black Port(Verbúðin) created and produced by Gisli Orn Gardarson, Bjorn Hlynur Haraldsson, Nina Dogg Filippusdóttir, Jan Tryggve Röyneland for Vesturport, written by Mikael Torfason, is a politically charged family saga, a period piece taking place in the eighties, depicting the effects the newly introduced fishing quota-system had on the lives of people in a small fishing village.